As I shared last week, I started the book: Better than Before: Mastering the Habits of our Everyday Lives. It really had me thinking through the habits in my own life, both the good and bad, and the lack thereof. I wanted to share with you 8 small habits I am going to be practicing to avoid stress, increase peace, and maintain a healthy life. Please join me if you like and we can encourage each other along the way. Sound good? First thing that was helpful to recognize: What are the points in the day that are most stressful or most likely to cause anxiety? For me, this is the morning rush, the dinner hour, and bedtime routines. This will change or look differently depending on what phase of life you are going through. Usually what causes those moments of anxiety or stress are not being prepared, distraction, or tiredness. Here are 8 bite sized habits I started this week in my goal for a better day to day. 1. 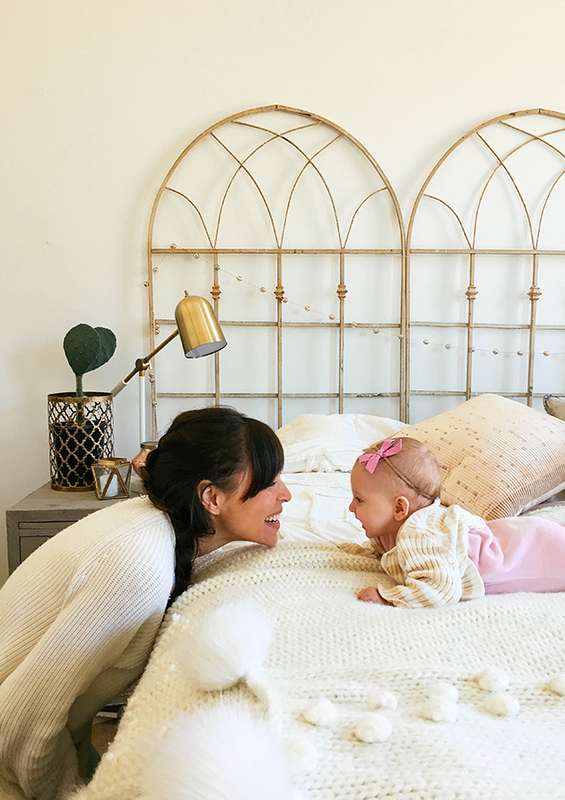 Setting the alarm – This seems impossible on days when I am feeding a baby through the night, but oh what a difference a day can be when I have a head start on my little ones. Setting my alarm 30 minutes early gives me enough time to check in with Gabriel and Veronica before they leave for school with dad, get dressed, sip a cup of coffee, get the house in order, and mentally prep for the day. 2. 10 minutes of prayer – This is worked into my “mentally prep for the day” part of morning routine. I want it to be a habit I default to in good times and in bad. When I have just a few moments to focus my mind on my purpose in life, the goals of the day, and prayers for strength, my day is significantly better. So why do I always cut this out when things are rushed? You tell me. It doesn’t make sense. So I am working on making this a habit. If prayer isn’t your thing, even taking ten minutes to quiet your mind and focus on how you want to live your day can make just the shift we need to get started on the right foot. 3. 8 Glasses of Water – I could go from coffee to la croix and back all day long. When I am on the go, I just don’t think about drinking water, and before I know it, it’s 3pm, and I have had one glass. I have started carrying around a water bottle (I use this one), and drinking at least 8 glasses of water a day. The benefits of drinking lots of water can flush out toxins, prevent headaches (a big motivation for me), boost immune system, keep skin healthy, etc. etc. I have already started to notice a difference after just a week of regularly hydrating. 4. Leaving the phone in one room – This is tough because I use my phone for work related emails, but it also has become an easy cause of distraction with every text or social media alert. Being readily accessible is not something I owe to anyone but my children, and for this reason I want to have it in one room for less temptation to check it often and more dedication to checking it during work hours only. 5. Ten minutes of toning – It is reallllyyy hard for me to find time to exercise right now with running a business and a household, but I know my brain just functions better with some sort of physical exercise. I also want to be strong for my kids and for myself. To keep up with their energy level has been a challenge so a few weeks ago I started the 10 minute rule. No hitting the pillow until I have done 10-20 minutes of exercise or toning. Right now that looks like push ups and squats, but hopefully we will work back up to running when time allows. 6. Tidy up! – Morning and night! If I wake up and walk out to a semi-messy home I immediately feel the skin crawls. Anyone else? Rather, if it is clean from picking up the night before, I feel like the day can begin. I have developed a bad habit of leaving the kitchen only half clean and being to lazy to pick up at the end of the day after feeling like a human vacuum cleaner. A clean environment may require picking up morning, noon, and night, but it makes way for a more creative work time, relaxing space, and less stress. I have routines with my family as well that keeps everyone on board with working together on this. 7. Meal plan on weekends – I am just not someone who looks forward to meal planning, and to be frank, I kind of loathe grocery shopping. However, one of my main sources of feeling frazzled is not knowing what to make for dinner or having the right ingredients. When I take the hour to meal plan and write out my grocery list, my week flows much better. I may have time to prep dinner in the morning in the crockpot and avoid the mad rush at 5pm. 8. Going to bed before 11pm – For some reason this has been the toughest habit to break. Gabe and I love having some down time at the end of the day together and we also love movies. It’s also a time where it would be easy for me to tackle my inbox. However, in order to feel rested the next morning, getting sleep before midnight is the key to life! For some reason, 10:30pm vs. 11:30pm is the game changer for me. Now more than ever I want my family to find a steadiness and consistency in the way I address them and love them. There is no room for moodiness, irritability, or lack of patience. If I can offer a sense of peace to my home, than I know most likely my family will follow suit. 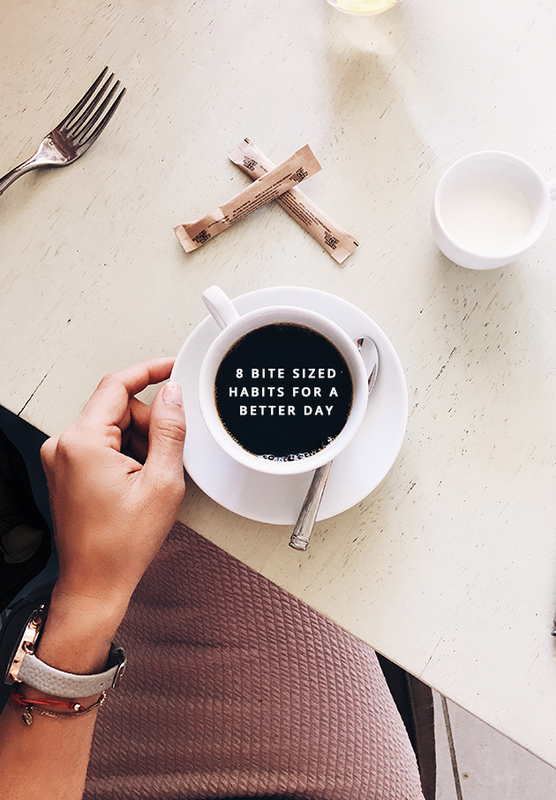 I’d love to hear what bite size goals you are seeking to improve your every day life! Wonderful post Anna!! I’m striving for many of the same things- meal planning and trying to be consistent and peaceful for those little ones and for myself and Sean! And while I love movies- I really haven’t felt like this season of life lends to watching them- For me anyway! It isn’t something I would have imagined before! This post is spot on! Everything on your list applies to me and my little family. My husband and I were just brainstorming ways to help alleviate some of the “rush” around our home and in our hearts! Thanks for sharing! I love this post! I have 5 kiddos too- almost identical to your’s in age and I couldn’t agree more with these tips! You are so right about how important it is in this precious (and exhausting?) stage of life to simplify and organize in every way possible so that there is plenty of margin for fun, patience and just an overall good vibe! ? I love grocery shopping. I know it’s weird… But right now I just don’t have the time. And with Vivian in her car seat it leaves no room in my cart for actual groceries. Kroger ClickList has been a game changer. I make me list on the site throughout the week and Jonathan picks it up on his way home from work. Less than 10 min at pickup! More time for family and less time to stress or forget something at the store! Love all of these!! The few minutes of prayer really give me strength for the day and I find that I NEED to go to bed if I am going to be able to wake up early and have time before the kids wake up. But as our kids are getting older they are staying up later and oh my goodness. that alone time at the end of the day can seem so short before bed. What will happen when they are teenagers staying up late.. i can’t even. Everything about this…perfection! My biggest problem is getting to bed at a decent hour. I can hardly keep my eyes open but as soon as the kids are down I feel like I want to cram in a million things and that usually means my head (and hubby’s) hits the pillow after midnight. Gotta fix this pronto! My husband and I like movies too but find it hard to finish them and be rested the next day to wrangle or 6 kids. Our compromise has been to split moves over two nights. There is usually an obvious stopping point near the middle. We wait for a scene change and stop it. It’s not perfect but it’s now habit and we are much less tired! These are so great! Complete game changers but also so doable. I completely agree about how having a (mostly) tidy house and some kind of physical exercise can make all the difference. And I am SO with you when it comes to meal planning and grocery shopping… oh my, how I loathe spending precious time from my weekend on that! But what a difference it makes. Recently I’ve started forbidding myself to use my phone once I’m in bed– only the reading of actual pages is allowed, not screens! And it has made a really big difference in how I wind down and go to sleep, plus I’m actually reading instead of mindlessly scrolling through social media! Thank you for sharing these! I love this post! Very helpful tips! I love the leaving the phone in one room rule, I’ve been trying to do that the last couple weeks and it has been so helpful! So I’m up for the challenge! I love these tips! Especially the prayer, water and phone in the other room. I feel like a slave to its beep (every text message could be urgent –like someone wanting to stop by the house, or a change of plans– but 99% are not). I try to go to bed early too. Like 9-10 because I am pregnant and my kids wake up at 6:30am. And there is no time for rest during the day! (4 kids home all day) But it is a sacrifice because my husband also likes to watch shows together at night, or just listen to music and talk. So I do that for 30 min then go to bed. These are all great! I am hoping to get to that book in a month or so when (if!) I have more time. Little habits do make a big difference- that’s what so much of our lives are. On 4, I just figured out how to turn off the sound for texts but keep it when I actually get a phone call- so huge! It’s usually in whatever room I’m in but up and away (that’s the goal, anyway). Jacques Philippe! Yes. Just ordered Searching for and Maintaining Peace for a Lenten book study. Finally, 11 p.m.?!?! I would be crazy. I’m aiming for 9! Somehow you’ve tapped into the personal conversation I’ve been having with myself and discovered my resolutions list. 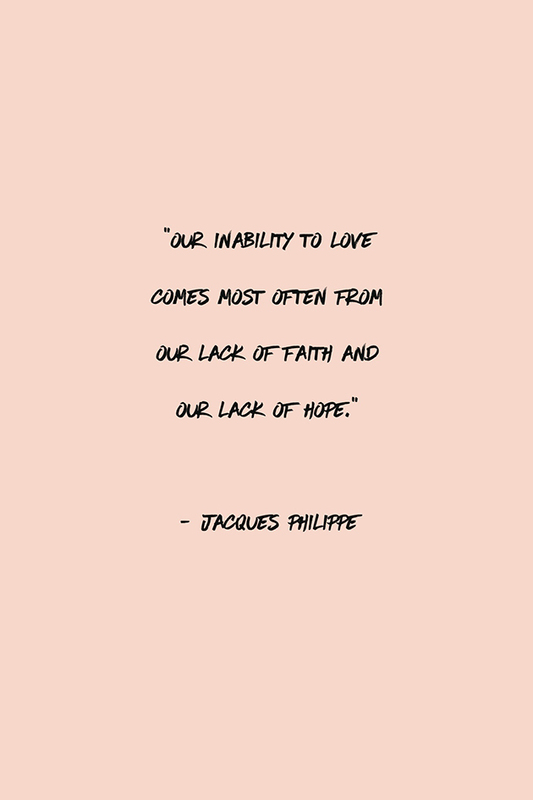 Or maybe we’ve been reading the same Jacques Phillipe books. 😉 Great list. I always do leave my phone whenever I feel like I’ve had enough of everything unnecessary in life.